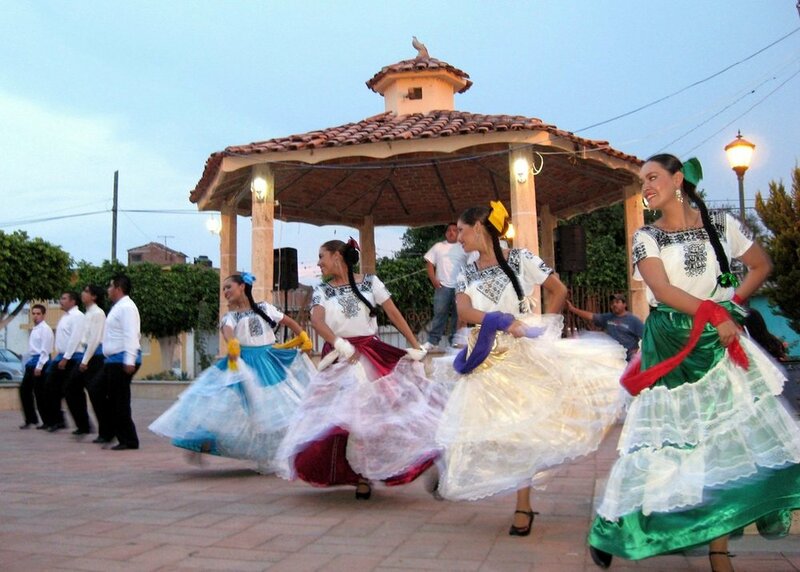 I believe that every town in Mexico has a plaza. I can’t guarantee that but I have never been to a town here without one. Usually the government buildings and main church face the plaza, which is a center for civic celebrations and more. A few years ago, I visited the town of Compostela, one of the oldest towns in Mexico. It has few expats living or visiting there so it still maintains many of the older traditions. During the day, the town was extremely quiet but, at dusk, the plaza quickly became crowded. Families came with picnics and children played together. Older people sat on benches watching the scene. People sold roasted corn, tacos, tamales, and all kinds of delicious food. Young men in cars continuously circled the plaza, their radios blasting out music. They were looking at the beautiful young women. I once read that in the past there was a ritual on Saturday and Sunday evenings. The young women walked slowly in one direction and the young men walked in the opposite direction as they checked each other out. The parents watched closely from the benches lined along the edge. 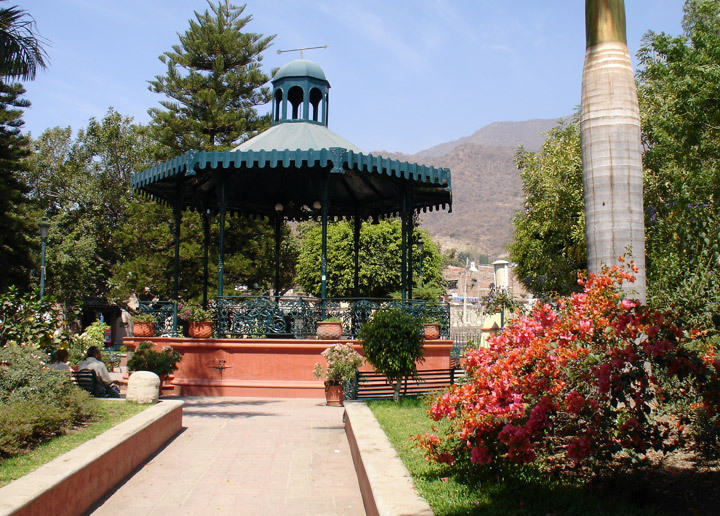 Ajijic’s plaza is smaller and has a different atmosphere because of all the expats living here. Vendors frequent the plaza, selling fresh berries, handmade shirts, wood carvings, and many other interesting things. Strolling musicians often show up there as well. Shoeshine men set up their portable stands near the town’s central taxi stand. The Jardin, an outdoor restaurant in the plaza, is popular with Mexicans and expats, although the majority of the patrons are expats. The prices are reasonable and the atmosphere is hard to beat. Next door in a cultural center, and the oldest chapel is located next door. During holidays, the flimsy fireworks towers knows as castillos set off their firecrackers and rockets, one set lighting another as the wheels turn and people scramble. Mariachi musicians play and people are dressed in their best. That is, unless they are planning on chasing a greased pig or climbing the greased pole for the prizes dangling from the top of it. I've witnessed both activities in the plaza one year. All year long, everyone seems to gravitate to the plaza. It’s a great place for people watching or to meet up with friends and find out the local news. It’s always interesting to me. I love to be there when it is quiet in the mornings and then again in the evenings before sunset when the birds are singing and people are socializing. I love it in May when the jaracanda trees are in bloom. I have to admit I love the Ajijic Plaza anytime of the day, any day and in all weather. It is a beautiful place and the heart f the town.